CHANCE OF STORMS: NOAA forecasters estimate a 35% chance of polar geomagnetic storms on Jan. 17th when a minor CME is expected to hit Earth. High-latitude sky watchers should be alert for auroras competing with bright moonlight. Aurora alerts: text, voice. "It really was smaller!" he says. 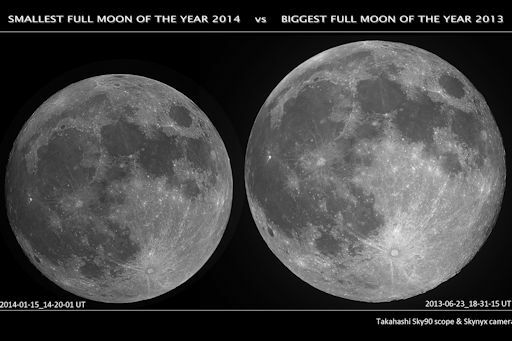 Full Moons vary in size and brightness because of the oval shape of the Moon's orbit. The Moon follows an elliptical path around Earth with one side ("perigee") about 50,000 km closer than the other ("apogee"). Last night's full Moon was a distant apogee Moon--less big and bright, but no less beautiful. Browse the gallery for more examples. Light pillars are a common sight around northern cities in winter. Urban lights bounce off ice crystals in the air, producing tall luminous columns sometimes mistaken for auroras. Usually the ice crystals are natural, such as snow flakes, but in this case the atmospheric optics were artificial. "The amazing phenomenon was created by snow blowing machines," explains Satrovskis. "These are our first days with temperatures below zero and ski resorts are making snow. A slight breeze carried manmade snow over the city, creating a spectacular view." 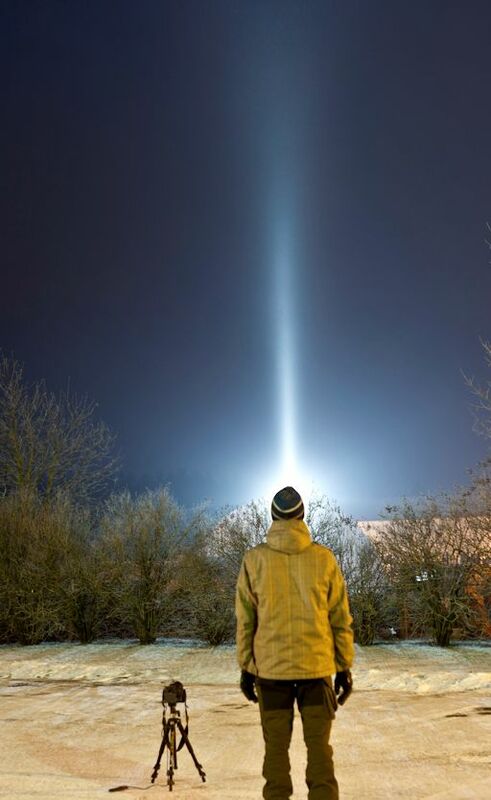 Light pillars are springing up in cold cities around the world. Is yours one of them? Browse the gallery for the latest sightings. On Jan. 15, 2014, the network reported 6 fireballs. On Jan. 14, 2014, the network reported 12 fireballs. On January 16, 2014 there were 1451 potentially hazardous asteroids.